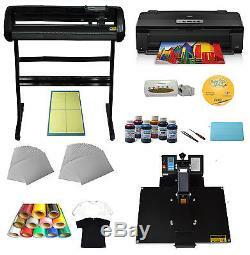 Cutter Plotter Heat Press A3 printer ink vinyl kit. 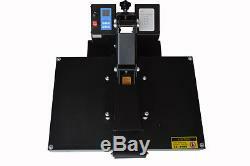 New 16x24 Heat Transfer Press, Vinyl Cutter Plotter, Epson Printer, CISS Cartridges, ink PU Vinyl Package. Is ideal for heat transfer of design, graphics and photos to T-shirts, iPhone Cases, puzzles, mouse pads, ceramic tiles etc. Brand new 16"x24" Heat press. 34 ALL METAL vinyl cutter plotter. Printer and lots of others stuffs. 34 500g Pressure Cutting Plotter. High strength aluminium alloying structure, streamlined design, beautifully and gracefully. We supply technique support after your purchasing. And we provide a detaileduser manual with words, pictures and video made by ourselves, after yourordering, we will send it out with the cutter machine. "Sure Cuts A Lot" is an easy to use software which allows you to cut virtually any shape with various electronic cutting machines, including Black Cat Cougar/Lynx, Craftwell eCraft, BossKut Gazelle, Pazzles Inspriation, Silhouette SD/CAMEO/Portrait, Silver Bullet, USCutter, & More! With "Sure Cuts A Lot" you can cut your TrueType fonts, custom shapes and even draw your own shapes directly in "Sure Cuts A Lot", giving you endless possibilities! NOTE: This software does not support Cutting Plotter on Mac OS. Works with your installed TrueType and OpenType fonts. Works with thousands of free TrueType Fonts including Dingbat/Wingding Fonts. Import various file formats, including SVG and PDF. Drawing tools to draw and edit shapes. Weld overlapping letters and shapes together. Select styles, including shadow and blackout, to change the look of your letters and shapes with just a few clicks. Auto-tracing feature to automatically convert images for cutting. Cut additional shapes from the "Sure Cuts A Lot" Library. WYSIWYG Interface - Exactly what you see is what you cut. Save and share your design layouts. Pentium processor-based PC or compatible computer (Windows). 512 MB of RAM or more. At least 50 MB of available hard disk space. USB Port 1.1 or 2. 16"x24" flat heat press. High quality for commercial application. Economical, yet perfect for applying all types of transfers including foils, sublimation, ink jet and more. Platen size: 16" x 24" (40 x 60 cm). Adjustable digital temperature control :max 210410, displays current temperature in Fahrenheit or Celsius. Adjustable timer with automatic alarm: ax 999 seconds, shows time countdown on readout, beeps after elapsed time, and auto-resets when handle is raised. Clam shell style, open up to 40 degree for easy placement of substrates. Press up to 1 thick items. With spring assist and adjustable pressure setting, easy to open and close. Engineered handle design provides a 20%increase in pressure. Self leveling, silicone pad on bottom plate allows perfect contact with substrate. Adjustable shaky bottom plate provides even alignment on delicate objects. Standard electric plug for USA, Canada. Package size: 32.6"x29"x20.5(837452cm). Epson Artisan 1430 Inkjet Printer. The Artisan 1430 takes photo printing to the next level of performance, delivering brilliant, Ultra Hi-Definition prints as large as 13" x 19". And, with convenient wireless networking, it's easy to share your Artisan 1430 with others. Now, anyone on your network can create large-size, gallery-worthy prints, or even design and print professional looking CDs / DVDs. Photos are smudge, scratch, water and fade resistant thanks to Claria® Hi-Definition Ink. And, prints last up to four times longer than photo lab prints. Take your creativity further with the Artisan 1430 from Epson, the brand of choice among professional photographers. 20 sheets Premium Photo Paper Glossy. Black, Cyan, Magenta, Yellow, Light Cyan, and Light Magenta. 6-colour advanced MicroPiezo inkjet technology optimized for photo printing. 5760 x 1440 optimized dpi. Black: 2.8 ISO ppm. Colour: 2.8 ISO ppm. 4" x 6" borderless photo in as fast as 46 sec. 8" x 10" borderless photo in as fast as 1 min 51 sec. 11" x 14" borderless photo in as fast as 2 min 53 sec. 13" x 19" borderless photo in as fast as 3 min. Inkjet printable CDs and DVDs. 4" x 6", 5" x 7", 8" x 10", A4 (8.3" x 11.7"), letter (8.5" x 11"), legal (8.5" x 14"), 11" x 14", 12" x 12", B (11" x 17"), A3 (11.7" x 16.5") and Super B (13" x 19"). User definable up to 13" x 44". Smooth printing: vivid printing effect. Permanent chip, no need to change. Economical: save printing costs up to 95%. Reliable quality: adopt high quality ink, 100% marches the nozzle. 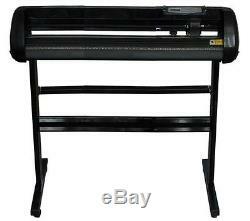 Package included: (1) 1 set 34inch 500g Cutting Plotter (004560) (2) 1 set 16x24. 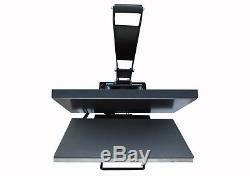 Heat Press (110202) (3) 1 set Epson R1430 ink jet printer. (4) 1 Set CISS for epson R1430. (012003) (5) 6 bottles C, M, Y, K , LC, LM. (004027) (7) 4 yard PU vinyl. (Black, White, Red, Yellow) (8) 10 sheet A3 dark transfer paper. (002003) (9) 10 sheet A3 light transfer paper. (002002) (10) Sure Cuts A Lot V3 Cut Vinyl Cutter Software. (11) 1 Vinyl Weeding Tool-Tweezer. (005101) (12) 1 Vinyl Weeding Tool-Drill. (005102) (13) 1 Square Vinyl Scraper 7.9x12.6cm. (019032) (14) 2PCs Dark color T-shirts. (Red or Black) (15) 2PCs Light color T-shirts. (White) (16) 13 Vector Collections. 16"x24" Heat Press (110202). 6 bottles C, M, Y, K, LC, LM inks. Sure Cuts A Lot V3. 2 pcs light color T-shirts. 2 pcs dark color T-shirts (002086). 1 Vinyl Weeding Tool-Tweezer (005101). 1 Vinyl Weeding Tool-Drill 005102. 13"x25"x0.16Cutting Mat 1sheets. 1 Make target design by computers. Switch on the cutting plotter and better try the pressure of tool in the first step: After cutting, the color layer as well as one layer of base paper can be easily removed at the same time. 2 The tool should just cut half thickness of the base paper. 3There are 35 colors of PU vinyl transfer you can choose. 4Set the speed according to the size of the design. For example, set the speed faster (at 50-75) for a large design, and at 25definitely for a small one. Lowerspeed cutting is very important! Payments via eCheck do not clear immediately. Usually you will wait 5-7 days after checkout for it to clear. The item "Heat press Vinyl Cutter plotter A3 Printer Ink Paper T-shirt Transfer Start-up" is in sale since Tuesday, September 16, 2014. This item is in the category "Business & Industrial\Printing & Graphic Arts\Screen & Specialty Printing\Heat Transfer\Presses". The seller is "asc365usa" and is located in El Monte, California. This item can be shipped to United States, all countries in continental Asia, Canada, United Kingdom, Australia.